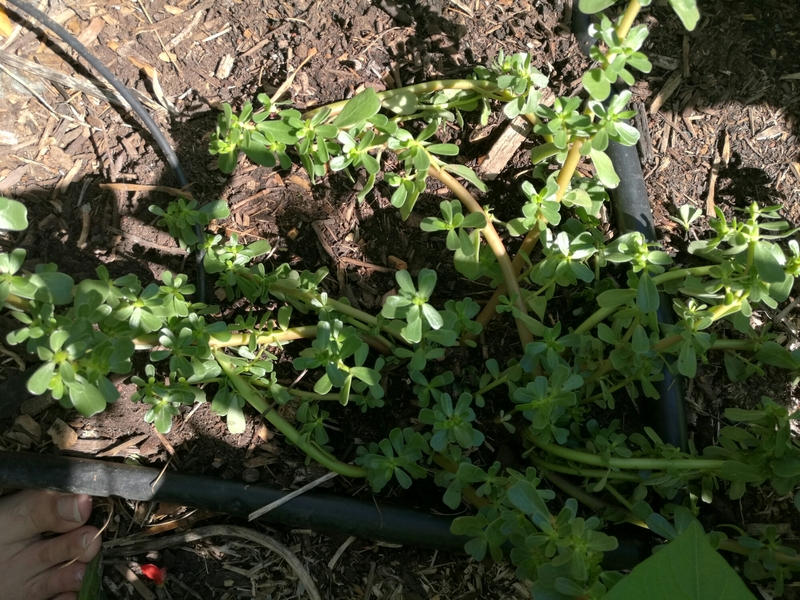 At this time of year, Purslane (Portulaca oleracea) is growing just about everywhere, with no input from us. It’s highly nutritious and has a very high level of Omega- 3 fatty acids. Purslane has been used as a salad vegetable around the world and does well as a green veggie in other dishes. In the pic above, you can see that I’m drying some this year. I reckon it will go well in soups and stocks in later months. I forgot who shared that idea with me, but thank you! 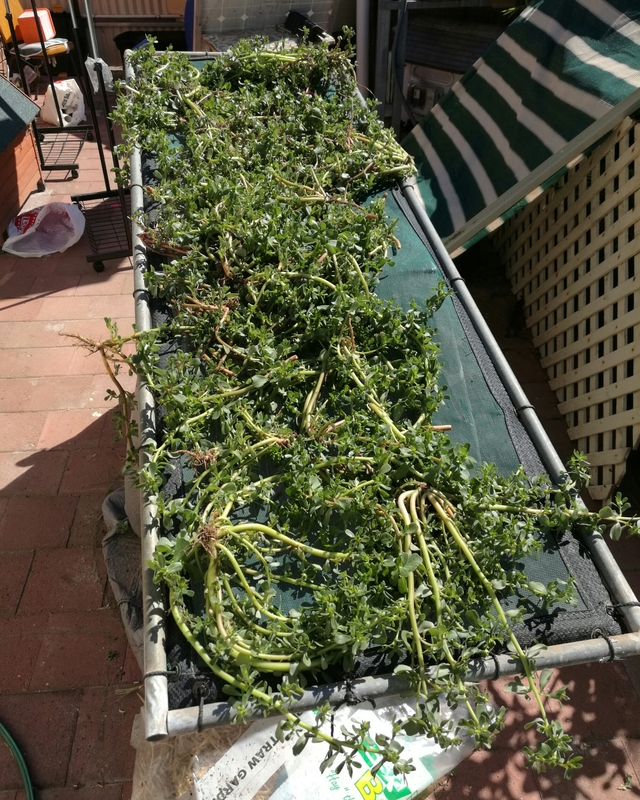 I cheat a bit when I grow Purslane. Even though one plant can produce around 250, 000 seeds, it’s much easier to find a wild one, dig it up and transplant it into your garden. A little water for a day or so and away you go! Nutritious, tasty (?) and free, demanding no attention and giving so much. What more can we ask?